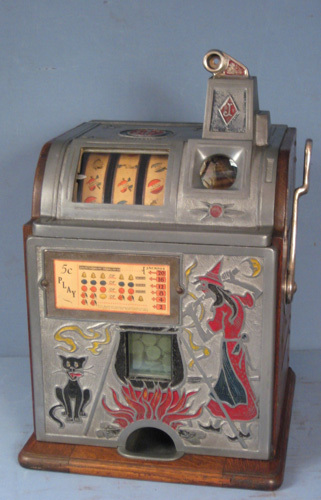 Another Golden Nugget slot... REal or REproduction? Anyone know this Ebay buyer ? Keeney console - Pretty, but pricey ! Is this an original machine ?? Bogus Rol a top for $6200, anyone?